Restaurant cooking staff: What’s it like to be a chef? What’s It Like to Be a Chef? 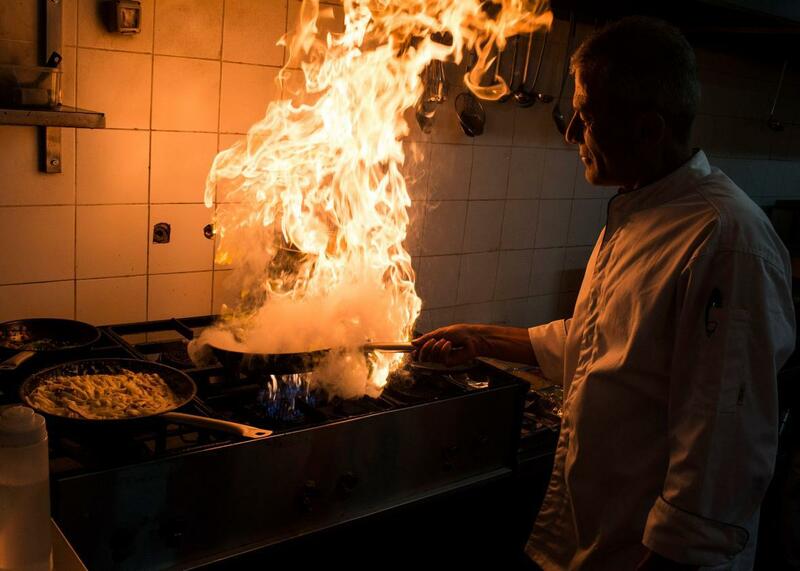 A chef cooks a meal in a restaurant on Sept. 19, 2013, in Ramallah, West Bank. Let’s break it down, shall we? Chefs work weekends, nights, holidays, through their birthdays, their anniversaries, everything. We work when everyone else parties; we sleep when everyone else is at the beach. When you’re out to drink into a new year or to the Colts winning the Super Bowl, we work. We do all this for less money than an untrained QA person in a Silicon Valley startup makes, and most of us are smarter than him. We handle a diverse staff that, sometimes, would be happy to stab one another if they weren’t in a kitchen together. We deal with personnel issues that are much more personal than, let’s say, some finance company’s HR team. And we do all this while performing a job that’s above being a cop in terms of chances of injuries on the job. We have unique problems dating. (Quick: Would you say yes if your prospective first date told you he or she could only meet you after midnight and that weekends are totally out?) Many of us are at risk to become addicted to alcohol and drugs, both of which are cheap and plentiful in our world. We wouldn’t be doing this if we didn’t enjoy the crap out of it—if the climate of kitchens, the people in it, and the rush of doing a job well against all adversity wasn’t what we loved and sought. We’re addicts to the adrenaline of the weeds; we crave the companionship and friendship that only kitchens create for us; and we love to be the ones in the back who, unseen and unheard, will make you happy, smiling, and sometimes even get you laid. We’re compersive. Compersion means to find enjoyment in the enjoyment of others. Like, for example, being happy your girlfriend found another boyfriend—happy not just for her but also because she’s happy. We’re the same way. We enjoy our jobs because you enjoy our food. We’re not just happy about you spending money; we’re happy because you are happy. Being a chef is a unique place in the world. If your team fails, it’s your fault. If your team succeeds, it’s a team win. Outside people may refer to you when they mean the kitchen, but inside you’re just one cog in a machine that makes things happen. And being but one cog, creating value, smiles, and keeping a team together—there’s nothing better than that for me and many other chefs. Restaurants: What percentage of the total expenditure of a restaurant is spent on groceries? Chefs: What is the idea behind the design of the chef’s hat (toque)? Restaurant Business: Do restaurant staff eat leftovers?